Internal data sharing, an exchange framework for HIEs, and support for open APIs are all HHS priorities. The government shutdown was well underway for the entirety of JP Morgan week in San Francisco last week, but that didn’t stop HHS leaders from dropping by auxiliary events in the Bay Area. 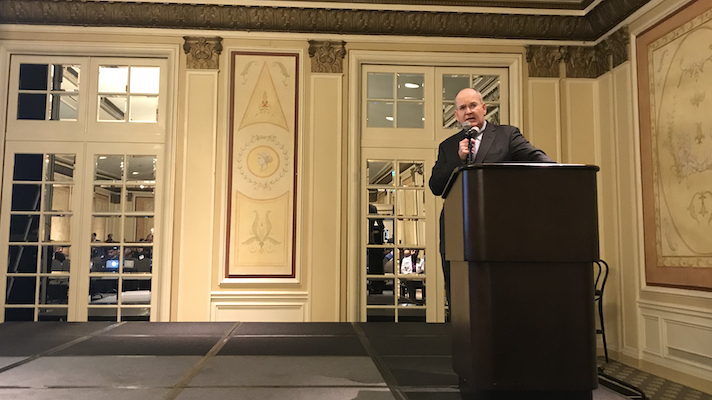 National Coordinator Don Rucker delivered the opening address to HIMSS’s own Health 2.0 VentureConnect event, while HHS Chief Data Officer Dr. Mona Siddiqui swung by the StartUp Health Festival for a fireside chat with Digital Health Today Managing Editor Dan Kendall. At two separate events, Rucker and Siddiqui highlighted the same government priority: Better data sharing, both internal and external. Siddiqui pointed to HHS’s recently released “State of Data Sharing” report as a first step the agency has taken to mitigate that problem. The report also demonstrates the transparency the agency is attempting to bring as they work to improve data sharing, she added. But internal data sharing between the 29 offices that make up HHS is really just an enabling step. Even more value will be created when they extend that data sharing beyond the walls of HHS. Siddiqui mentioned HHS’s opioid crisis codeathon as an example of the power of public-private data sharing. Speaking to an audience of entrepreneurs, Rucker emphasized three data sharing priorities that will be in the forthcoming ONC final rule. Rucker said that healthcare has been characterized by comparatively primitive computing, and APIs offer a path to modernizing it. Furthermore, they enable data sharing that enhances the value of a provider’s data set.